Synthetic materials capable of recognizing proteins are important in separation, biosensors and biomaterials. In this study, bovine serum albumin-imprinted soft-wet polyacrylamide gel beads were prepared via inverse-phase suspension polymerization, using acrylamide and N,N′-methylene diacrylamide as polymeric matrix components and methacrylic acid as functional monomer. 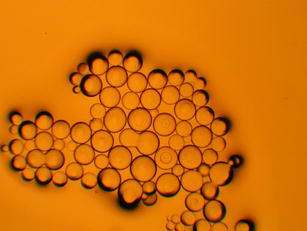 The adsorption study showed, through the imprinting process, that the imprinted gel beads had much higher adsorption capacity than the nonimprinted gel beads, and that the matching of the surface zeta-potential between the templates and the imprinted gel beads can enhance the imprinting effect. 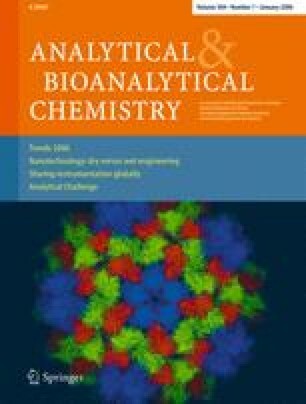 Adsorption kinetics indicated that the adsorption process could be described as an apparent first-order kinetic process for the gel beads. From the adsorption isotherm curve, we found that the adsorption of the imprinted gel beads was in agreement with the Langmuir adsorption model. Moreover, selectivity testing of the imprinted gel beads showed that imprinted gel beads exhibited good recognition for BSA as compared to the control protein. We speculate that the formation of complementary shapes and multiple-point electrostatic interactions between the imprinting cavities and the template proteins are the two factors that lead to the imprinting effect. The authors would like to thank the National Natural Science Foundation of China (grant number: 50373032) and the Teaching and Research Award Program for Outstanding Young Teachers in Higher Education Institutions of MOE, P.R.C. (2002–123) for supporting this research work.